God Made Dandelions, Man Made Weed-ex…who do you trust? Dandelions. We try desperately to get them out of our lawns because they don’t “look” good. By whose standards? Are they really just annoying weeds? Scientifically, they are beautiful. They contain Vitamins A, B complex, C, D, zinc, and potassium. 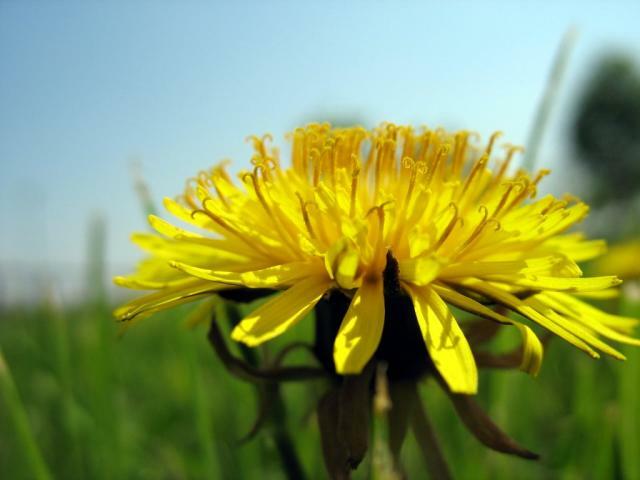 Traditionally, dandelion roots and leaves were used to treat liver and gallbladder problems. In Chinese Medicine, dandelion tea has been used to improve digestion, and help the body get the full use of the food eaten for fuel. Dandelion root is also a diuretic, which helps get rid of excess “water weight.” It helps rid the body of toxins. It’s a blood purifier. Studies have shown it can help lower cholesterol. Dandelion leaves are used in salads by people who appreciate their value. There are also studies that dandelion root has been shown to prevent and treat some cancers. A cancer treatment that grows wild in your front yard? What will the neighbors think? As for me and my house, we will not put harmful chemicals into our lawn to kill the dandelions! Wow, I’m so glad to know that I’m not the only one who loves dandelions! I always look forward to seeing them grow in the springtime and summer :). yes, i think it’s sad how people can’t see what is right in front of their face! thanks for stopping by. A single dandelion worth more than any wealth in the world. When someone can realize, the roadside dandelion was made by God, designed to heal and give comfort to the eyes, that is a turning point both in faith and lifestyle. Yes, there are many healthy benefits to dandelions. It’s crazy that our society thinks they are ugly.